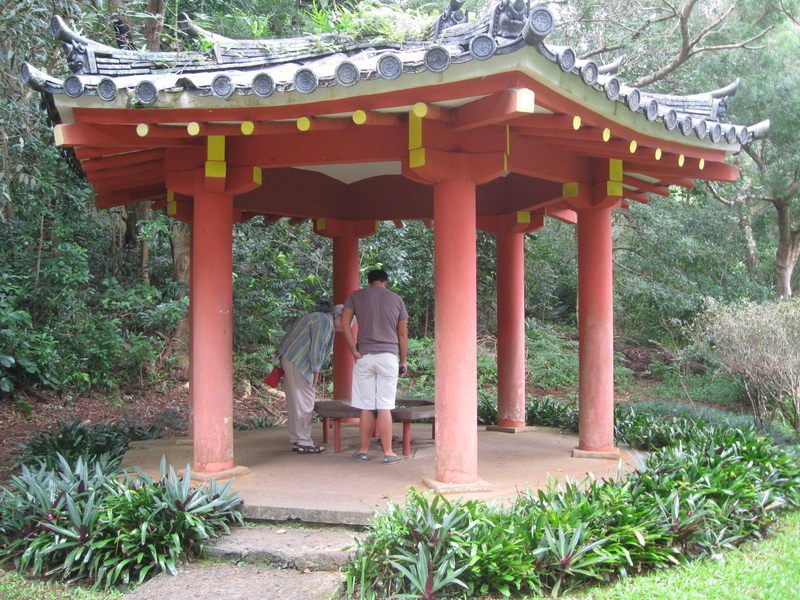 Here is the first LOST location from our Hawaii Christmas adventure. 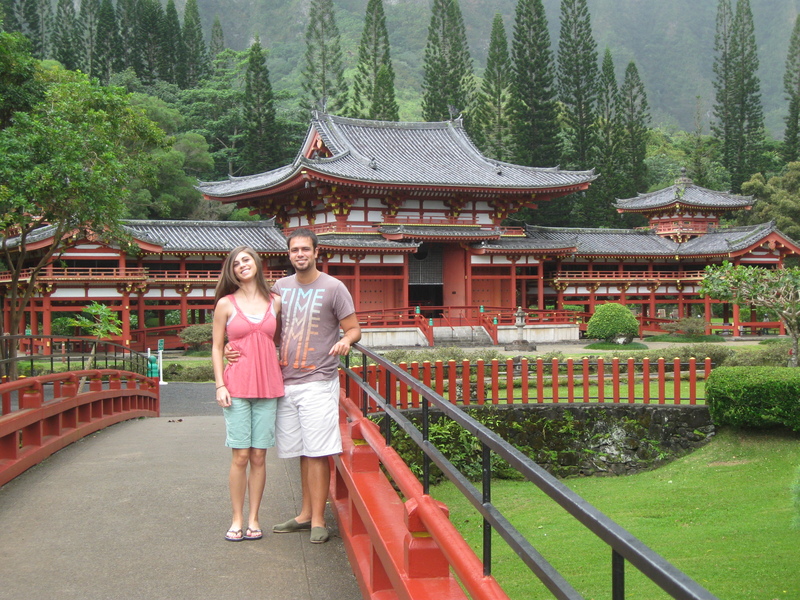 The Byodo-In Temple is located on the Winward side of Oahu close to Kane’ohe Bay, where we stayed with my cousin. 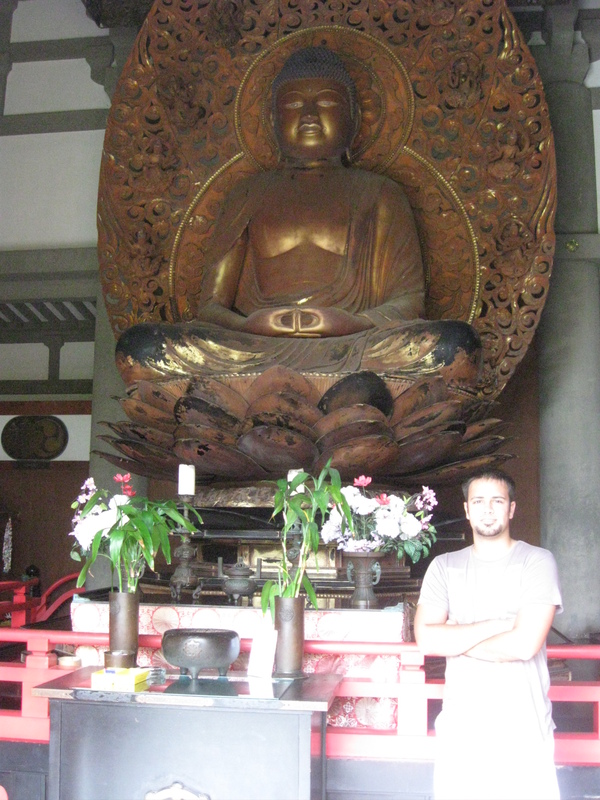 Inside the temple is Amida, at over 18 feet the largest wooden Buddha carved in nearly a thousand years and after carving was covered with cloth, painted with gold lacquer, and finished with gold leaf. 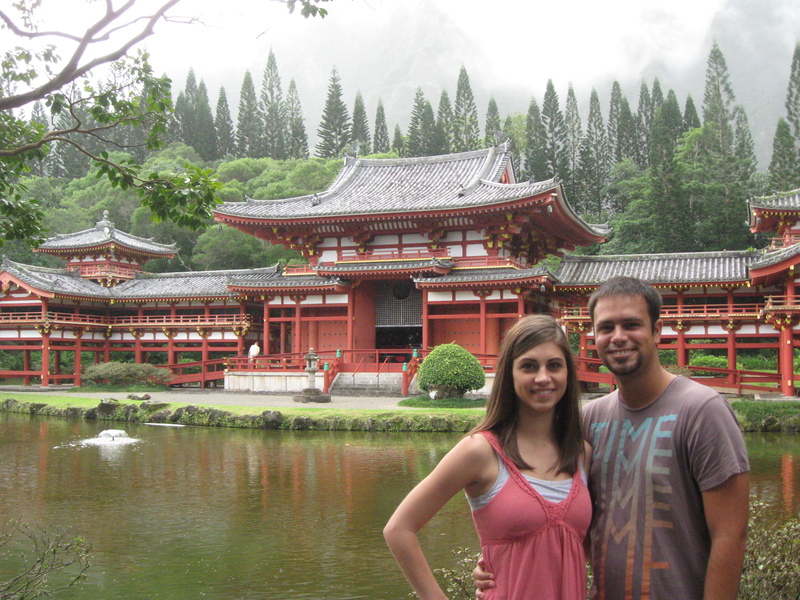 The temple also features a three ton brass Peace Bell, and a koi pond. Notice where they are and then see where Emily and I are. We are almost at the exact spot where they were. Probably a foot or two ahead. A scene where Sun and Jin talk. Grandmother Anne and I look at where they give offerings wrapped in leaves. Same place as picture above. A scene where Sun is at/having a party and Jin is working as a waiter. One of my favorite pictures of the whole trip. You can see how they dressed up the temple with lanterns above. Thanks to: LostVirtualTour.com for giving me pointers as to where locations are as well as Google Earth, Google Navigation, and Google Maps. If you are reading this and are going to Oahu, this location is worth the visit if you have an afternoon to ride up the Winward Coast. There is an attraction fee, but it is cheap. Make sure to check hours before going. Questions about the temple or how to get there, visit lostvirtualtour or reply to this post.